What is a Recycling Program? 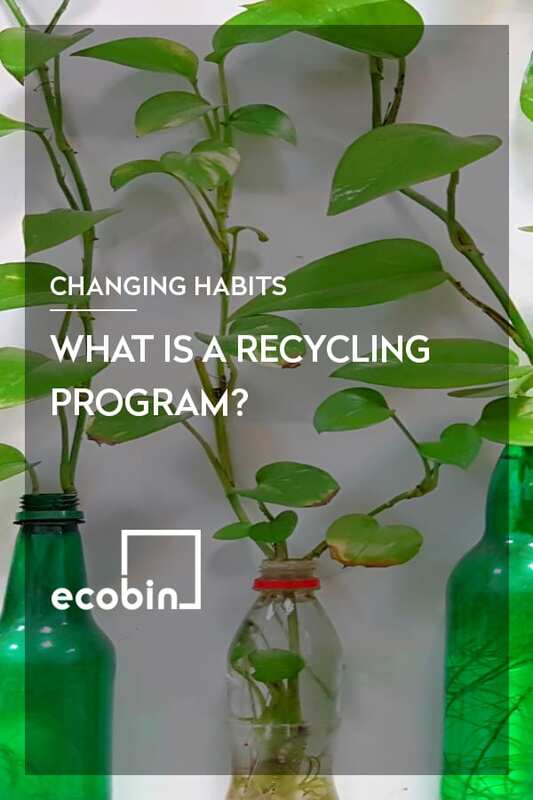 EcoBin > Changing Habits > What is a Recycling Program? We hear a lot of talk about implementing an effective recycling program in your home, school or office however there are a lot of people who don’t actually know what a recycling program is – so we’re here to help! A recycling program is a system that is set up in your home, school or office to effectively manage waste in the correctly. As we have spoken about previously in our ‘Why is it important to separate waste?’ blog it is extremely important that we recycle our waste effectively. You can reduce your landfill waste by up to 85%. With the right recycling program you’re able to source separate and ensure that less is sent to landfill. Raise awareness of your recycling program – start by speaking to the staff/students at your school or staff members in your office to raise the idea of setting up a recycling program. Gauge interest from them about who is passionate about helping set up the program and implement change to help better our environment. Organise new bins for your home, school or office – in order to ensure that you have an effective recycling program you will need to update your bins if you do not already have the correct ones to use. This can be organised through speaking to your building manager, your cleaning company or going directly to Ecobin and we would be delighted to help you find the bins that will suit your needs. Once you have completed these steps you are ready to launch your new recycling program and you can pat yourself on the back for taking the steps to help ensure that our future generations have a sustainable planet to live on! Good luck and if you need any help, don’t hesitate to get in touch!